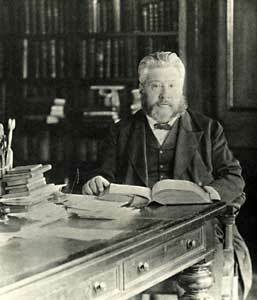 If you’re from a certain corner of the global harvest field that is the church, then Charles Haddon Spurgeon will be a familiar, if not revered, name. The ‘prince of preachers’ (as he was known) was perhaps the world’s first megapastor – but the wonderful thing about him was that it never went to his head, he wasn’t corrupt, he was a character of whom it could certainly be said that ‘what you see is what you get.’ A far cry, in other words, from the smooth-talking, chiseled and attractive megapastors of today. 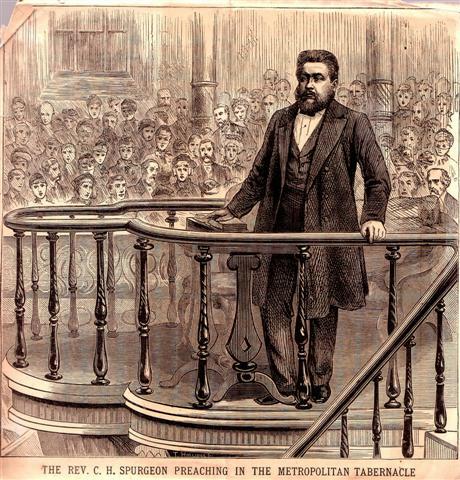 For the most astonishing thing about him was not the fact that he was appointed pastor of New Park Street church in Southwark (it eventually became Metropolitan Tabernacle church in London’s Elephant & Castle) at the age of only 19. The astonishing thing was that his entire ministry was plagued by the rigours and horrors of depression… at a time when the affliction was barely understood, let alone empathised with. And yet, he would be quite open about it. In the pulpit. For he was a pastor who wasn’t too proud to be frail or to limp… in public. And I cannot tell you what a gift that is to those of us who are frail and limp (whether we are pastors or not). Zack Eswine is a writer I’ve encountered before – I’d dipped into his Preaching to a Post-Everything World for example. But it was only after devouring his Sensing Jesus (see previous post) that I appreciated his real pastor’s heart. For he has been through the mill himself. And he is not afraid to be open about it. Those who suffer depression have an ally, a hero, a companion-redeemer, advocating for the mentally harassed. I suspect that this is where the true value of the book comes in. I’ve read a LOT of books about and for depression. Many have been good and timely for me and others. But this one stands head and shoulders above the rest. Eswine manages to combine comfort for the suffering, hope for the lost, truth for the confused, and wisdom for the caring. It explicitly seeks to help both the afflicted and those who love the afflicted (with all the confusion, impatience and bemusement another’s depression inevitably provokes). This has therefore become my default go-to-book on depression (with its secular counterpart, William Styron’s Darkness Visible). I cannot recommend it enough. And it made me love and appreciate the prince of preachers all the more… would that all would receive the balm of his pastor’s heart. Thank you for the review! I’ll certainly be reading it. Depression can be so lonely and shameful. Thank you, Mark, for your heartfelt and personal review. I have forwarded this to people who deal with this– a lot of good will come from your sharing–many others will feel they are not so alone.